Why would I need self storage in Jonesboro, GA? There are a variety of reasons why you might need self-storage in Jonesboro, GA.
How much is a storage unit in Jonesboro, GA? The cheapest storage unit in Jonesboro, GA is $39.00 per month. What size storage units do you have available in Jonesboro, GA? In Jonesboro, GA we have sizes that range from 5'x5' to 22'x25' to suit your storage needs. How much is it for a 5'x5' storage unit in Jonesboro, GA? The cheapest 5'x5' storage unit in Jonesboro, GA is $39.00 per month. Jonesboro is a very small city in Georgia's Clayton County, located about 17 miles from the state capital of Atlanta. Although it's seen a few population spikes over the years, growth has stabilized in recent years. 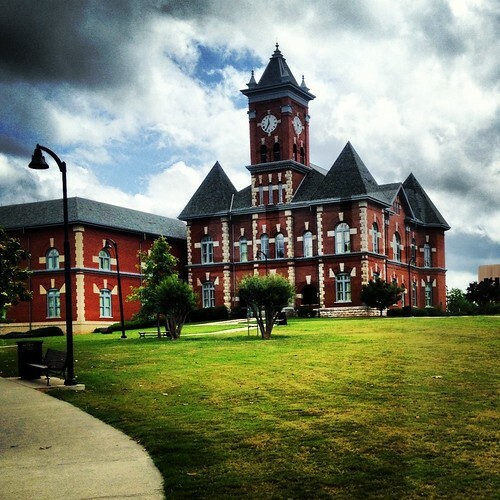 Jonesboro covers less than three square miles, but provides plenty of attractive features for its residents. Settlers originally came to the area that's now known as Jonesboro in the late 1700s and early 1800s. Originally, the settlement was called Leaksville. In 1836, the Monroe Railroad and Banking Co.was organized not far from Leaksville, and the railroad reached the city in 1843. The name of the town was changed to Jonesboro in 1845, after an important railroad official, Samuel G. Johnson. Thanks to the arrival of the railroad, Jonesboro was able to evolve into a commercial center, attracting a number of prosperous businesses and new residents. The city earned official incorporation in 1859. As the town continues to grow, Jonesboro has added a number of convenient amenities. Hospitals and medical centers make health care easily accessible, while higher education is conveniently within reach at the local Everest Institute. Plus, you're close enough to the large city of Atlanta to make regular trips for shopping, dining, entertainment and work. Several regular community events in Jonesboro provide the opportunity to get to know your neighbors and experience local culture. During the summer, the city hosts several free concerts at Lee Street Park. The park also hosts a series of holiday celebrations, including a parade, a Christmas tree lighting and live music. The Clayton County Public School District manages the public schools of Jonesboro. The district includes elementary, middle and high schools, as well as a performing arts center, Ash Street Center, Unidos Dual Language Charter School and Flint River School. Utilities: The Clayton County Water Authority facilitates the water and sewer services of Jonesboro. Georgia Power is the city's primary energy provider. Garbage: The city provides curbside trash collection for all residential communities. Transportation: The Xpress commuter shuttle and the MARTA transit network service the Jonesboro area. Jonesboro is an extremely affordable place to live, with housing prices that are less than half the national average. This means that nearly everyone will be able to find something that fits within their budget, while still enjoying the convenience and amenities of the nearby (and much more expensive) Atlanta. There are also a number of rental options, including an array of apartment communities with varying amenities. Our lowest priced units in Jonesboro, GA average $51.00 per month. 136 people have reserved units in Jonesboro, GA in the past 30 days. There are 2 locations within Jonesboro, GA's city limits. There is 1 location in Jonesboro, GA that offers AC and Heating features.